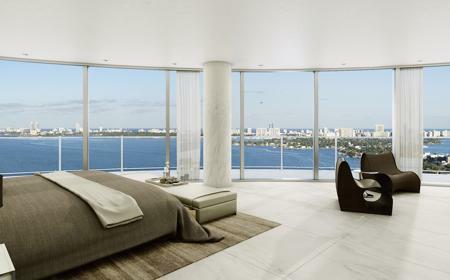 Affording amazing views over Biscayne Bay from the floor-to-ceiling windows and the expansive balconies, set in the prestigious Edgewater neighborhood, Aria on the Bay features a carefree lifestyle with great amenities and a uniquely planned Arquitectonica unrivaled design that simulates a staircase that rises over Miami´s skyline. 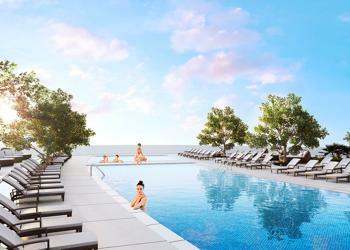 To top it off, you will have a perfect atmosphere, surrounded by tropical scenarios of the bay and the active cultural scene of Miami at your front door. 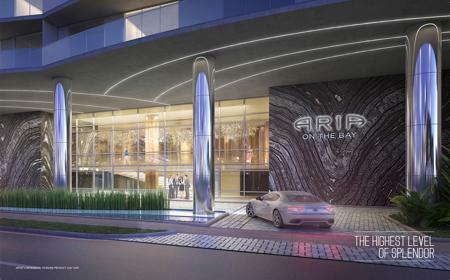 From the entrance, you will experience Aria’s sophisticated design, with the attractive combination of the silhouette of its pillars and the awe-inspiring landscape displaying water features. 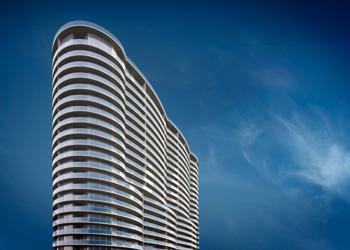 Arquitectonica’s masterpiece accentuates the Edgewater’s natural environment. The daylight and the turquoise water of the bay are reflected on the pristine Aria on the Bay's façade. Uniqueness and precision best describe the interior of Aria on the Bay, where every detail is fitted to create a tranquil ambiance. The continuous staircase and the soaring ceilings make up an eye-catching composition. 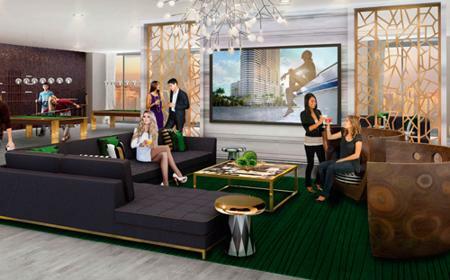 Expanding its portfolio, the well-known Melo Group has developed this innovating mixed-use tower bringing a new statement in Miami’s architectural scene. True sky homes are rare, except at Aria on the Bay. 1 to 3 bedrooms, open layouts, and exceptional finishes exceed even the highest expectations of refined living.